This is actually my second helmet model. Which is a perfect model of the real helmet. And this one included a face model so people could see them self riding instead of just a black visor. The texture for this model is for Colin Edwards. 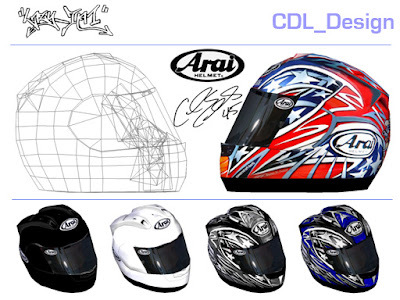 I made the texture and the templates for this model also made few version of the helmet design of Colin Edwards. And 2 textures followed very soon. 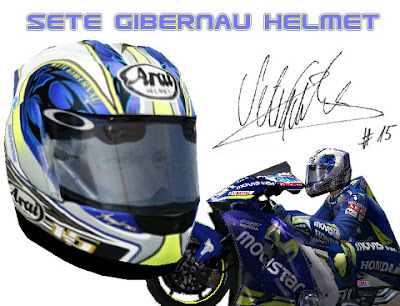 First was a helmet skin for Sete Gibernau. 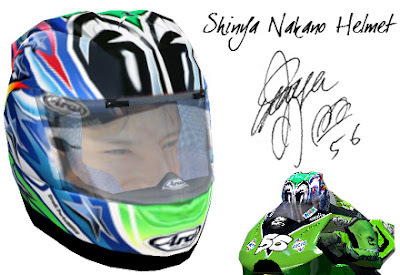 And then Shinya Nakano. And much later I change the original Edwards helmet skin to yellow because Edwards was racing a yellow version in 2006.